You Save: $9.96 (50%) Ships in 1 day. 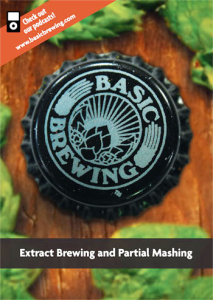 James Spencer and Steve Wilkes, hosts of the Basic Brewing, pull out all the stops in this sequel to their original Introduction to Extract Home Brewing DVD. In this DVD, James and Steve will take you through both basic and advanced techniques. Bonus content includes sections on yeast starters, growing hops and calculating gravity. Everything you need to get started making great beer at home!